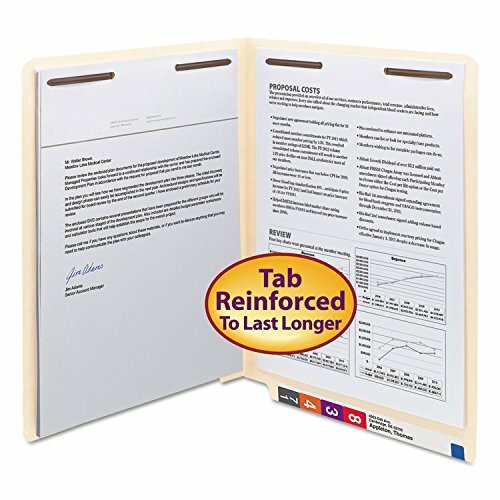 Used to organize and secure letter-size documents. 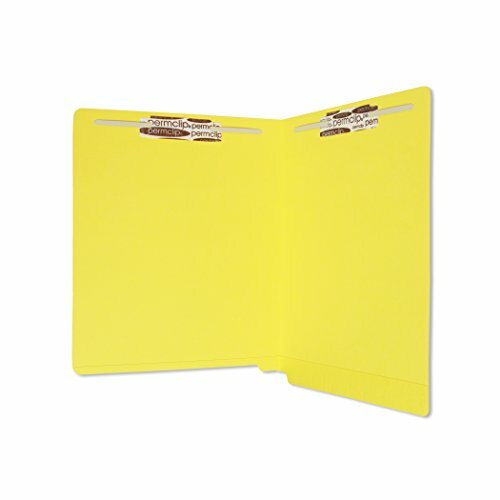 These folders are constructed with stain resistant material to protect against damage from spills, dirt and finger oils. Right side pocket is sealed on three sides and has an extended thumbcut for easy access to content placed inside. Tick marks on end tab make label alignment simple. Permclip fasteners are added in positions 1 and 3 to keep paperwork neatly in place. Protect your documents with office friendly fastener folders that resist liquid spills and are dirt and finger oil resistant, while significantly reducing paper cuts. Special CutLess fastener folders reduce the incidents of paper cuts, while WaterShed fastener folders resist stains. 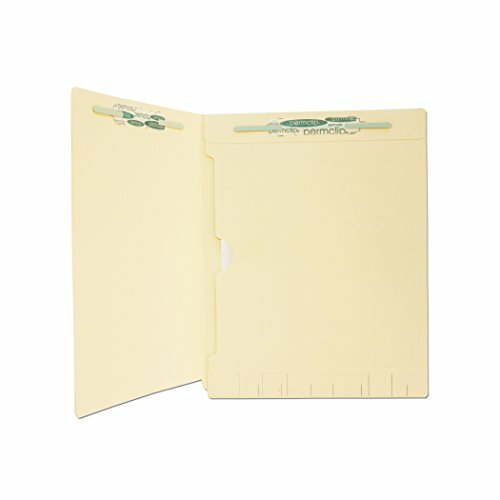 Fasteners allow you to subdivide papers within the folder while holding paper securely inside. 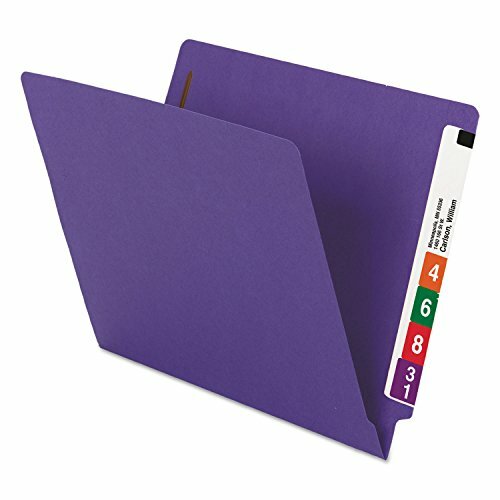 Use color to categorize different types of folders in one system. Labels sold separately. This product was made using wood sourced from a certified managed forest. 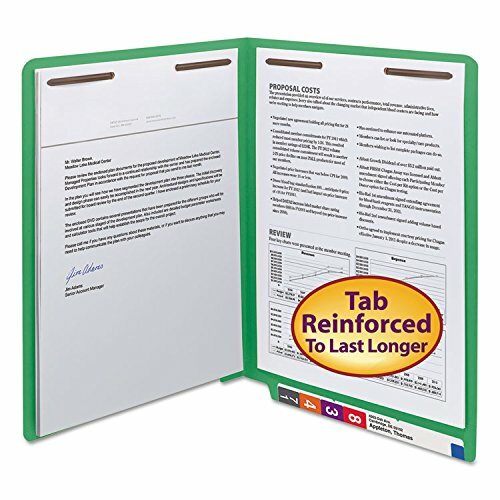 File Folder Type: End Tab; Size: Letter; Folder Material: 11 pt. 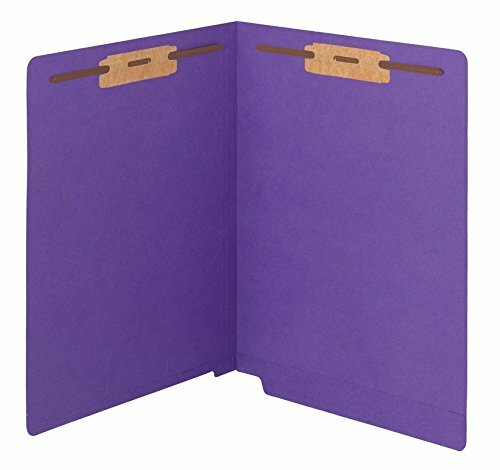 Stock; Color(s): Purple. Copyright © Wholesalion.com 2019 - The Best Prices On Cutless End Tab Folder Online.